There are many reasons for living by a vegan diet, some medical, some due to personal taste preferences and others respecting personal beliefs. No matter why you choose a vegan diet it’s important to find great places to eat out with a great selection of food. It’s important to remember that vegan is quite different to vegetarian, and it’s not safe to assume somewhere that does vegetarian food can prepare vegan dishes. Sometimes it can be hard to find a good vegan restaurant while travelling the world, that is why we have put together a list of some great vegan places to visit on your travels. With restaurants located in London, Brighton, Norwich and many others around the world, you have plenty of locations to choose from. 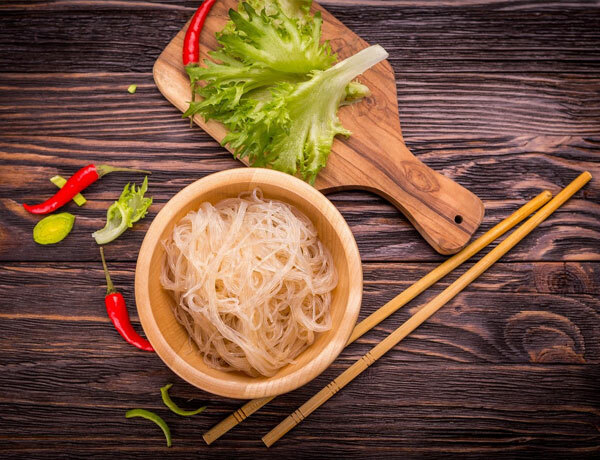 The loving Hut is a completely vegan friendly franchise which serves a great range of vegan Chinese food with the aim of supporting the environment. You can choose from dining out in the Loving Hut or opting for a take away to eat in your own home or travel accommodation. Located in Brooklyn New York, The wild Ginger Pan-Asian restaurant offers a large selection of Authentic Pan-Asian vegan dishes. Some of the options on offer include soups, salads, noodles, a number of dishes and great selection of desserts and smoothies, there is something for almost everyone. Coox and Candy is a unique vegan restaurant found in Germany. The restaurant serves a mixture of vegan choices available to take away and to self-serve! If you’re not looking for a full meal and want to opt for something a bit lighter their coffee shop is a great place to catch up with friends and enjoy a slice of cake. Using only plant based ingredients Funky Pies offers a selection of tasty sweet and savoury pies, a handful of sweet treats and a selection of vegan supplies to stock your cupboards at home. Funky pies have the mission of not only creating awareness around animal rights but also surrounding human rights while supporting local charities. If you fancy a trip to Funky pies head over to Bondi NSW Australia! As featured in the Vegetarian Times Magazine, Real Food Daily has been serving a plant based creative and balanced menu since 1993. All dishes served by Real Food Daily are free from meat, dairy, eggs, butter, cholesterol, saturated fats and pesticides. From Burritos to burgers the menu has something for everyone to choose from. Bon is a Buddhist vegan restaurant which is quietly situated in Taito-Ku in Japan. The restaurant serves a range of vegan only imaginative dishes, attractive to the eye and appealing to the pallet. Being a traditional Japanese style restaurant you should expect to leave your shoes at the door and fall in love with the authentic culture. If you’re visiting Sweden be sure to take a visit to Kao’s for a specular vegan meal. Kao’s offers great vegan food free from unnecessary additives and made from fresh organic ingredients. While offering an A La Carte Menu and a buffet there is plenty of opportunity to try as many dishes as you like, all while situated in a friendly cosy environment. Established in 2013 Green Point is the only 100% vegan restaurant in Cusco, Peru. The establishment offers a different set lunch menu everyday including a salad buffet, soup, a choice from 2 mains and a desert. The main aim of Green Point is to help change the perspective of vegan food showing it can be exciting and taste great. 42 Degrees is the first 100% raw food restaurant in France, serving only vegan and gluten free dishes. Not only is the name modern and appealing, but there is real thought behind it as all food prepared within the restaurant is heated to a maximum of 42 degrees. The reason for this is when cooking food at any temperature above 42 degrees most of the natural nutrients, vitamins and enzymes are destroyed. Located in the capital of Chile, Soju offers many spectacular dishes which you almost wouldn’t believe are vegan friendly. Offering a great selection of mains and deserts everyday there is something for everyone to try, even if they aren’t a vegan. With a great rating on trip advisor suggesting potion sizes are generous, prices are good and the staff are friendly it would be a shame not to give this little resultant a try. Some of the above restaurants’ tickled your taste buds? If you do decide to visit some of the best vegan restaurants around the world don’t forget to purchase comprehensive travel insurance. Visit our website or contact a member of our team today on 0333 323 0090 to find out how our travel insurance can cover you. Wherever you go, take your manners!